Now to the Triton Hat which I am making with Rylie, a yarn by Skacel. Is 50 % alpaca, 25 % linen and 25 % silk . The yarn is very soft and is kind of drapey, blame it on the linen. So I will be coming back again, not to worry. My work has given me a lot of motivation to come back and blog. 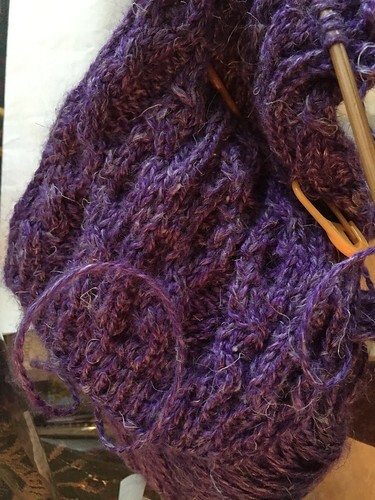 I will be working on a new scarf and a new hat in the near future. Thanks for stopping by!